Simraungadh (Nepali:सिम्रौनगढ) lies in Bara District in the Narayani Zone. Its ancient name was Simara-vanagadha (Nepali: सिमरा–वनगढ). At that time all the big settlement areas used to be called as Fortress (किल्ला) in terms of security. Such fortresses were made even in the midst of the forest and were called as ‘Vanagadha’ (Nepali: वनगढ) or ‘Vanadurga’ (Nepali:वनदुर्ग).The fortress used to be named after the forest’s name. Thus, Simara-Vangadha got it’s named from the forest of Simara (Nepali: सिमराको वन). In a course of time, the term was pronounced as “Simraungadh” (Nepali: सिम्रौनगढ), which is the current place’s official name in Bara district. The entire area around of then Simraungadh was famous by the name Tirhut (Nepali:तिरहुत). However, the immediate evidence found in Kathmandu Valley suggests this area be referred as “Doya Rajya (Nepali: डोय राज्य’)”. 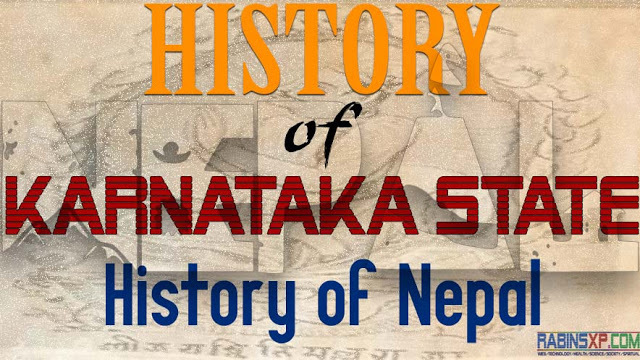 It is believed that the Karnataka state (dynasty) including Southern and Eastern Terai) was established at the same period when Khas Kingdom (Nepali: खस राज्य) in the West was established. Its capital was in Simraungadh (Simara-vanagadha) or today’s Simara. In 1154 BS (or 1097 BC), Karnataka state was established in Tirhut by “Nanya deva (Nepali:नान्य देव). The independent state existed for almost 229 years and in 1326 BC, it was dissolved. Nanya Deva and Hari Singh Deva(Nepali: हरि सिंह देव) were the main lords of this Kingdom. Nyayadeva, a resident of southern India’s Karnataka region were. Nyayadeva (Nepali:न्यायदेव) was a resident of southern India’s Karnataka region. He was the captain of the Chalukya (Nepali/Hindi:चालुक्य) rulers in southern India. Nyayadeva came here when Chalukya was campaigning victory towards North India. It is said that later he established a kingdom in these regions making Simraungadh as center/capital. After Nyayadeva, the lords like Ganga Deva (Nepali: गङ्गादेव), Nara Sigh Deva(Nepali:नरसिंहदेव), Rama Singh Deva(Nepali: रामसिंहदेव), Sakti Singh Deva(Nepali:शक्तिसिंहदेव), Bhupal Singh Deva(Nepali:भुपालसिंहदेव) and Hari Singh Deva(Nepali:हरिसिंहदेव), etc ruled over Simraungadh respectfully. Hari Singh Deva was the last ruler of Karnataka dynasty. During the reign of Hari Singh Deva (in 138 BS), Ghiyasuddin Tuglaka(Nepali/Urdu: गयासुद्दीन तुग्लक) ( Muslim king of Delhi) attacked and destroyed the Karnataka State. In fact, Taleju Bhavani (Nepali: तलेजु भवानी) worshiped as the family deity by Malla Kings of Kathmandu Valley is also the same family deity worshipped by Kings of Karnataka. Deval Devi(Nepali: देवलदेवी), the queen of Hari Singh Deva while entering into Kathmandu Valley as a refugee also brought a vase(Nepali:कलश) of Taleju Bhavani with her. The influence of Karnataka on the Valley increased after Deval Devi and his son Jagat Singh (Nepali: जगत सिंह) entered the valley which was natural too. After the death of Hari Singh, the joint rule of Rudra Malla(Nepali:रूद्र मल्ल) and Ari Malla(Nepali:अरि मल्ल) kept going on. However, Ari Malla was just a name of ruler by name. Rudra Malla, after the death of Hari Singh Deva, gave refugee to the queen Deval Devi and her son Jagat Singh in his own palace. Deval Devi set/established the vase of Taleju Bhavani in the court/palace. After then, the later rulers of Nepal also became worshipers of Taleju Bhavani. Devaladevi’s son Prince Jagat Singh got married to Malla princess Nayak Devi and the couple gave birth to Rajalla Devi(Nepali:राजल्लदेवी). She was the one who was married to King Jayasthiti Malla (Nepali:जयस्थिति मल्ल). He was a 14th-century king of Nepal belonging to the Malla dynasty. Rabins Sharma, I believe in your article. I checked on google also.